PennOaks.net was conceived by Catherine and Scott McCall in January 2004. It was originally designed for these purposes: 1) to share photos with families and friends, 2) to archive Scott's abundance of Nintendo 64 (N64) articles and reviews, and 3) to provide us with custom web-based email. To us, PennOaks.net is also like a brand or modern-day coat of arms. Clearly, the need for a personalized sharing website has been negated by the Web 2.0 social media revolution. Back when this website was planned in late 2003 and early 2004, however, there was no such thing as Facebook to communicate and share. Online photo sharing services, such as Flickr and Picasa, had not been created. Let us not even pretend that a website (YouTube) would enable you to share videos with the world. Free webmail (Hotmail or Yahoo! Mail) came with maybe 25-50 MB of storage space; AOL did not even offer its email through a web browser in 2004. A tweet (Twitter) was the sound of a small bird. Times have changed -- and so has PennOaks.net. Its focus as a personal communication and sharing platform has turned to the things that we would like to control, would like to host, or would like to access on mobile. To the public, PennOaks.net will be the permanent home for Scott's vast collection of Nintendo reviews and articles, thereby making the information searchable throughout the years. Our website might also include some random articles, blog postings, or photo galleries that represent thoughtful contributions to the Internet. Alternatively, PennOaks.net might fill a void on something that is restricted to family and/or friends. PennOaks.net, on its own, is not meant to be a website that you bookmark or visit frequently. Instead, by controlling this domain name, we can ensure that the information we want to share can live in perpetuity, as well as being backed up and inventoried, and can be found easily due its longevity. If you remember Scott's N64 work from the early years of the Internet, then you might recall that he had the N64HQ.com domain name from 1996-1998 before it was purchased by Nintendo. Between 2001 and 2003, Scott also had the gameroom64.com domain name -- but that did not make sense to be shared with his new wife. Oh, and the only reason that we ended up with PennOaks.net instead of PennOaks.com is that the ".com" was already taken and hardly worth the asking price. 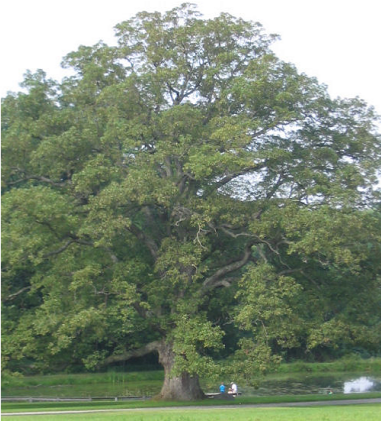 What is a William Penn Oak Tree? Who are Catherine and Scott? You may know Catherine Brown or Scott McCall from growing up and going to school with them in PA. Some of you may know Scott "virtually" from his days (1995-2000) as an online video game journalist. Other people might remember them from their undergraduate and graduate school days. Now you might know Scott McCall and Catherine McCall from where they live and work. Or you may know absolutely nothing. What you might like to know is that, after graduating from Penn State and moving to the Washington/Baltimore metropolitan area, they have settled into their home and their careers. Additionally, both have furthered their education, with Catherine getting her M.S. in Biology from Georgetown University and Scott getting his M.S. in Computer Systems Management. Catherine's job relates to Environmental and Natural Resources Planning, and Scott is involved with IT Project Management. And this website has absolutely nothing to do with any of that.